The photographs in this tutorial were taken in my shop with a rifle barrel sent here for assembly. This is the first tool of its type that I developed and it is still my main seller due to the popularity of the AKM and AK74. 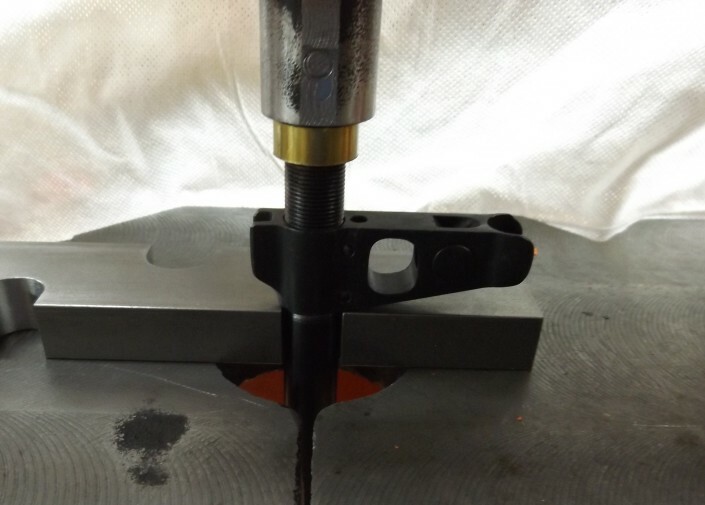 Notice how I have positioned the front sight block over the most narrow slot of the tool. This allows more support for the critical surfaces. The brass pad shown is not included. Notice the partial ring of material I am pointing towards. 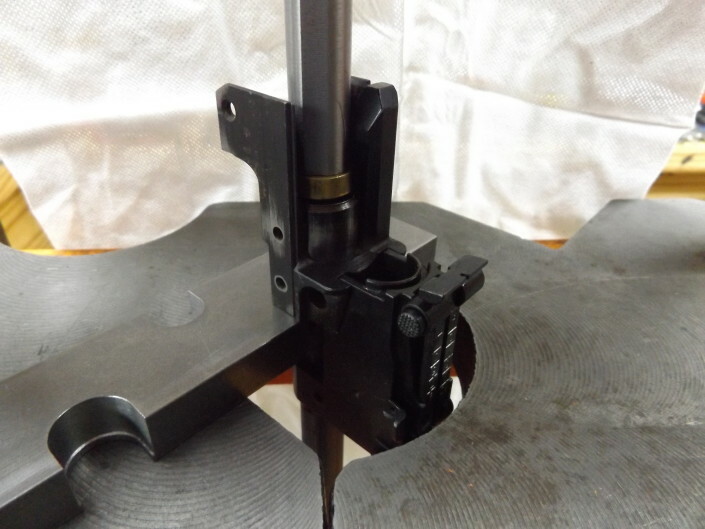 This goes immediately under the ring of the rear sight block and the larger area allows the barrel to clear the slot. Now the barrel is placed in the slot and the ring of the rear sight block is resting on the plate. 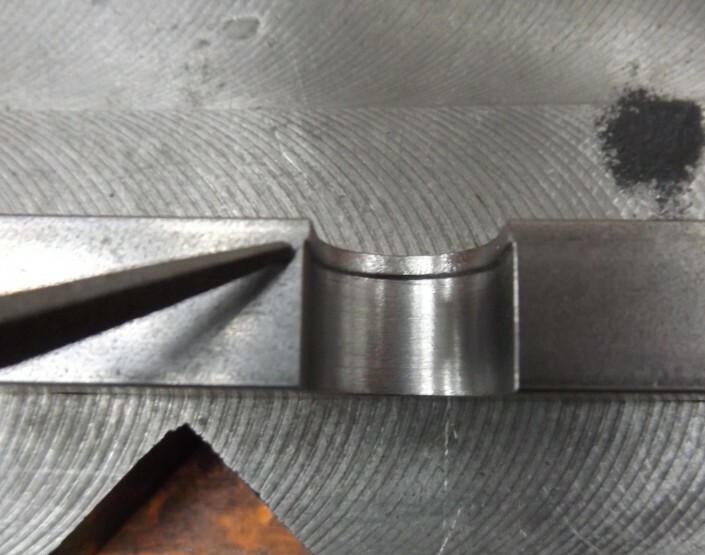 It is ready to press out the barrel. 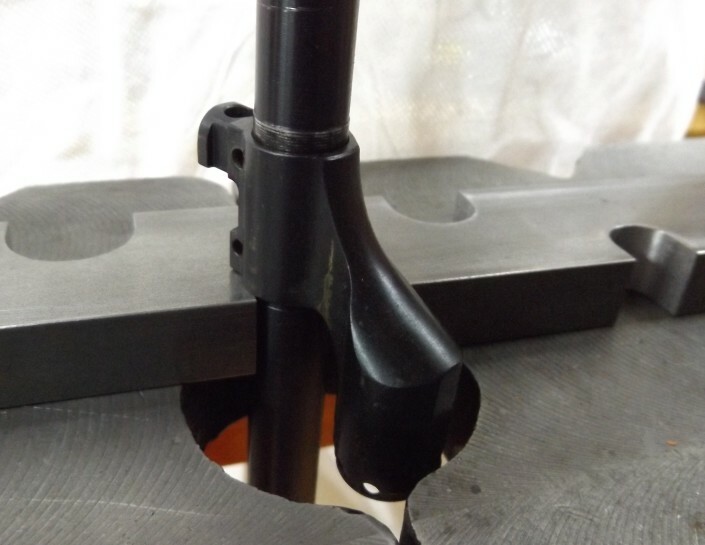 A completely assembled barrel or a barrel stub can be pressed out of the breech block or merely pressed back a bit. 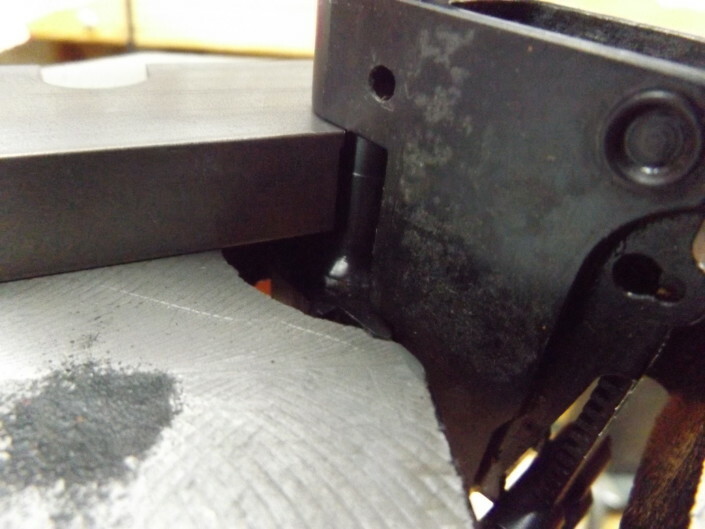 I show a GS-0008 and GS-0005-D1 (sold separately) being used to safely press against the chamber face.